There was no clear explanation for the about-face by President Duterte, who has cultivated warm ties with China, ostensibly to attract loans and investments and lessen Manila's dependence on the United States. Philippine President Rodrigo Duterte said he wants no interference from any country. 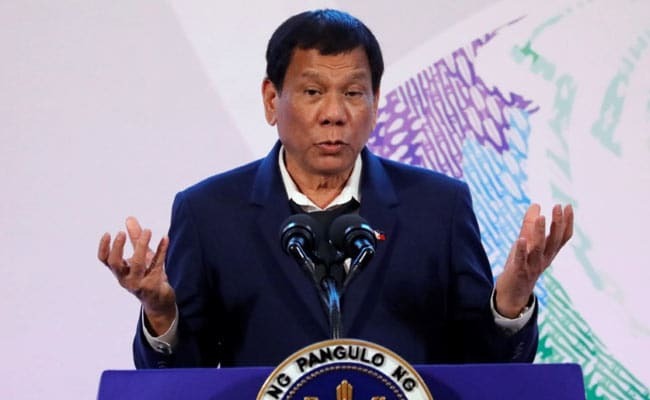 MANILA: Philippine President Rodrigo Duterte has banned all foreign scientific research off the country's Pacific coast and told the navy to chase away unauthorized vessels, despite earlier allowing Chinese oceanographers to operate there. There was no clear explanation for the about-face by the mercurial Duterte, who has cultivated warm ties with China, ostensibly to attract loans and investments and lessen Manila's dependence on the United States. The area of focus is Benham Rise, which the United Nations in 2012 declared part of the Philippines' continental shelf. Manila last year renamed it "Philippine Rise". "Let me be very clear about this: the Philippine Rise is ours and any insinuation that it is open to everybody should end with this declaration," Duterte told a cabinet meeting on Monday, according to a Facebook post by his Agriculture Secretary, Emmanuel Pinol. The area is roughly the size of Greece and believed to be rich in biodiversity and tuna. Scientists from the United States and Japan have surveyed it numerous times. However, Chinese interest, including some 18 official requests in 17 years, has caused concern among Philippine nationalists mistrustful of its intentions after decades of disputes and perceived encroachments by Beijing in the South China Sea. Benham Rise is not in the South China Sea and Beijing has made no claim to it. According to Pinol, Duterte said the navy should deploy vessels to chase away any fishing or research vessels, and he wants the air force to patrol the area. Presidential spokesman Harry Roque confirmed Duterte's order, which he said was over a "national security issue". Roque gave no explanation as to why only a few weeks ago Duterte personally endorsed China's research at Benham Rise to be performed jointly with Filipino scientists. "Our sovereign right is unquestioned," Roque told a regular news briefing. "All licences are deemed cancelled. There are no foreign entities conducting scientific research," Roque said, adding that innocent passage would be allowed, in accordance with international law. There was no immediate response from the Chinese government, which was planning to conduct research this month. Pinol said the agriculture department had sent two research vessels to monitor "foreign groups" and the military would deploy unmanned aerial surveillance vehicles. He said the president's order stemmed from a statement from a "low-level diplomat of another country" who said the area does not belong to any country. He did not elaborate.